Here is the start list for Saturday’s time trial. Since we have a few opens spots left, we are allowing riders to sign-up for a tt spot Friday night at the Launch Party at Brewery Emperial from 5:00pm to 8:00pm. That is your last chance to get a spot in the TT. There will be a $5 late charge added to the tt fee. There will be no onsite registration for the time trial. 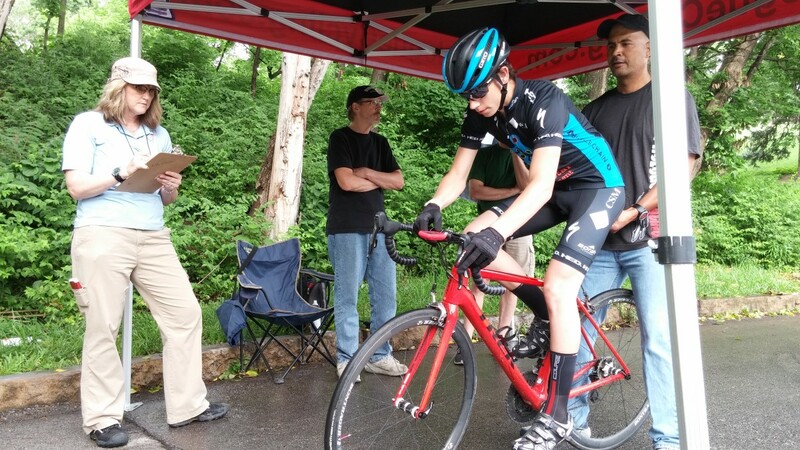 You can register for the criteriums and circuit races onsite or Friday night. As a reminder, the yellow line rule will be strictly enforced. Riders who violate the yellow line rule during the TT will be relegated or disqualified. We will have staff along the course taking numbers of violators. *TT list has been revised to add a 10 minute gap between the end of the juniors and the start of the rest of the riders.